I am Joseph from Korea. I have learned in Korean Music Academy. 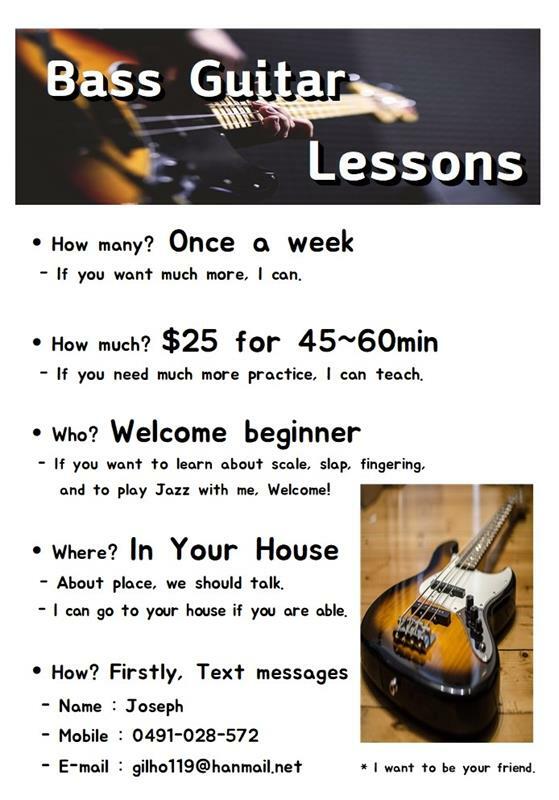 I want to teach you Bass Guitar. Welcome everyone especially children I love. If you are interested in Bass, contcact me with no hesitation.